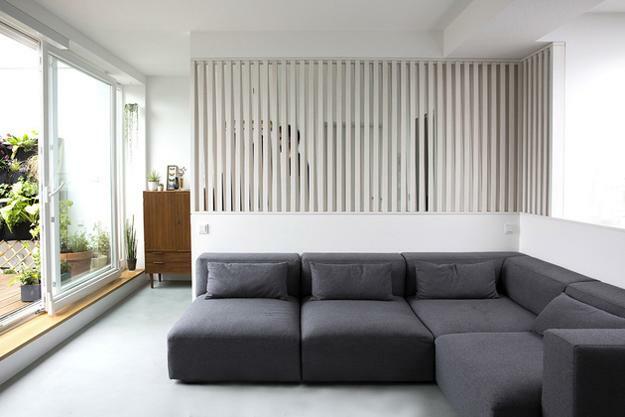 This two-story apartment in Berlin is unusually playful. Haus JJ was designed by NOWlab, www.nowlab.de/HAUS-JJ/, famous for their slide stairs, and designers again surprised with playful elements by adding a fireman pole to the apartment ideas. 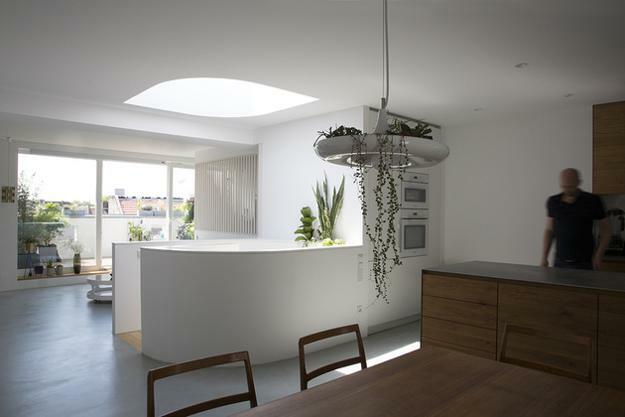 Lushome presents this creative and interesting interior design project. Hidden behind a sliding bookcase, the fireman pole adds fun to modern home office design. The regular stairway is unique and creative also. 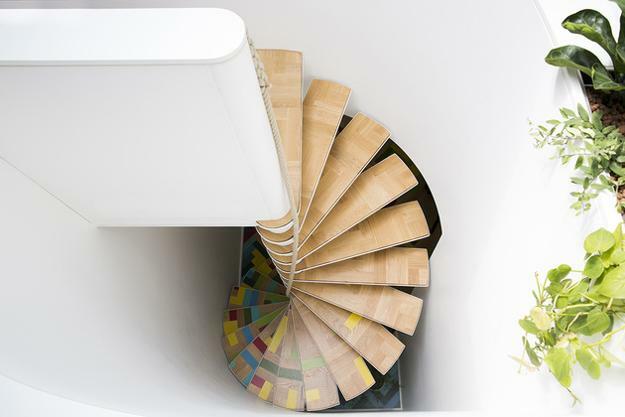 A spiral staircase with a rope for a railing looks playful and unusual. There is no balustrade at all. 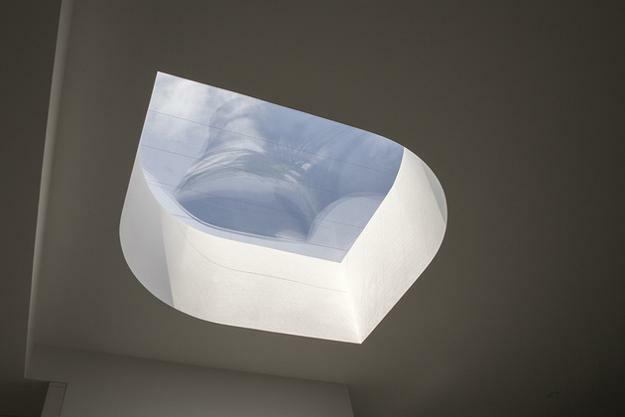 The unusual skylight adds beauty to modern interiors. Wooden floors with fantastic chevron-shaped planks in assorted colors look elegant and rich. 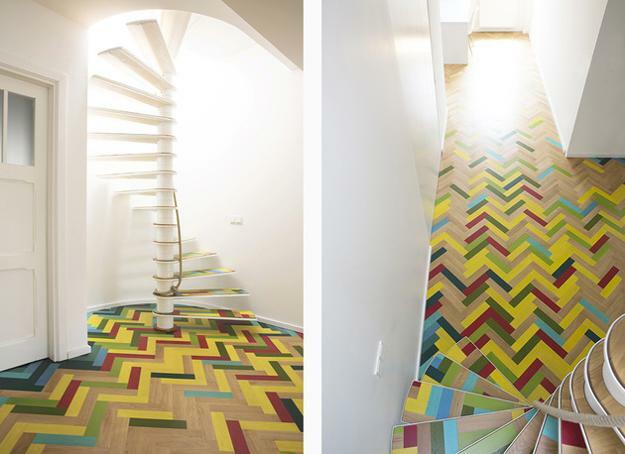 The interesting floor decoration pattern follows up the spiral staircase treads. Decorating small apartments with playful elements is a great idea to brighten up small spaces. The fun elements leading into each other, compliment bright and modern apartment ideas and accentuate creative and playful atmosphere. The apartment ideas include many unique, playful and surprising features, adding character to modern interior design and turning rooms into youthful living spaces.